aHaving two monitors is a great way to expand the Windows desktop. A dual-monitor setup enables you to drag the cursor and software windows across two monitors. A dual-monitor setup is almost like having two VDUs (Visual Display Units) attached to each other for an expanded display. However, Windows 10 doesn’t provide a huge amount of configuration settings for multiple monitor setups; and Windows 7 doesn’t even include a taskbar on the secondary VDU. To make the most of multiple VDUs attached to a single desktop, you can add dual-monitor software to Windows. There are numerous third-party dual-monitor programs that more fully extend the taskbar to the additional VDUs, provide new customization options and add extra title bar buttons to software windows. These are a few of the best dual monitor programs for Windows. UltraMon provides an extensive suite of tools for dual-monitor setups and is compatible with both 32 and 64-bit Windows platforms from XP to 10. The software is retailing at $39.95, and it doesn’t have any alternative freeware version. However, you can still try out a full 30-day trial of UltraMon by clicking UltraMon_3.4.0_en_x32.msi on this website page. UltraMon provides a taskbar extension that extends the taskbar to the second monitor. You can configure each taskbar to include only programs open within its VDU or all open software in every monitor. The software enables its users to select alternative wallpapers and screensavers for each VDU. Furthermore, UltraMon adds a handy Maximize desktop button to window titlebars so that you can expand the windows across both monitors; and you can clone displays on both VDUs with its mirroring tool. DisplayFusion Pro is highly rated software that has a plethora of options and tools for multi-monitor setups. The software has a freeware and pro version that’s retailing at $29 for one user. The big difference between the versions is that the freeware DisplayFusion doesn’t include multi-monitor taskbars or screensavers, Windows lock screen customization settings and the Alt + Tab Handler. Press the Download Now button on this website page to add the freeware version to Windows 10, 8 or 7. DisplayFusion Pro includes more extensive customization options for dual-monitor setups than most alternative software. 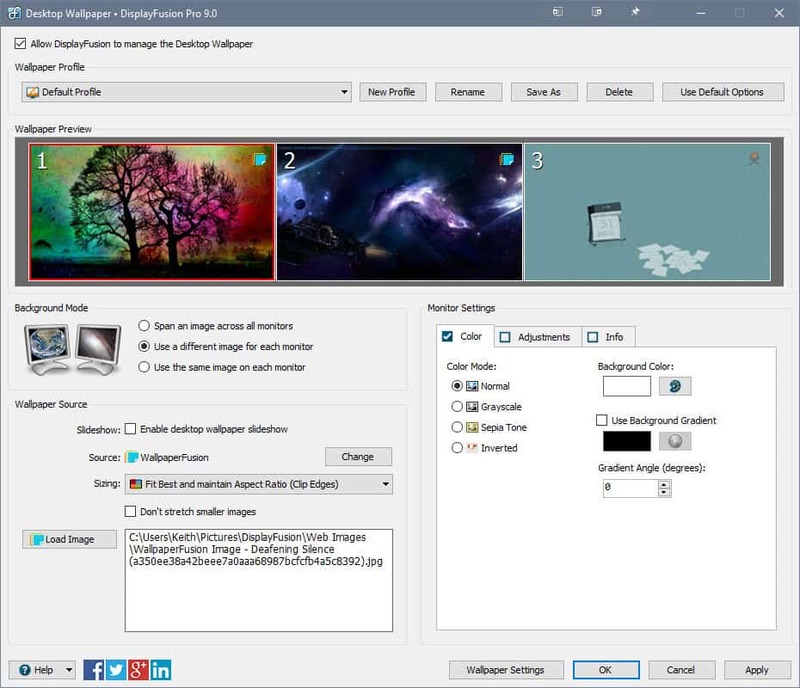 It enables you to add separate wallpapers to VDUs, expand a desktop wallpaper across two monitors, customize the lock screen, span screensavers across all your monitors, save desktop icon layouts and even set up scripted macros. Of course, the Pro version provides a multi-monitor taskbar that retains the Start and Show Desktop buttons and window thumbnail previews on the second VDU. On top of all that, DisplayFusion Pro has a handy Alt + Tab Handler, additional Windows 10 customization settings and remote control apps for Android and iOS devices. 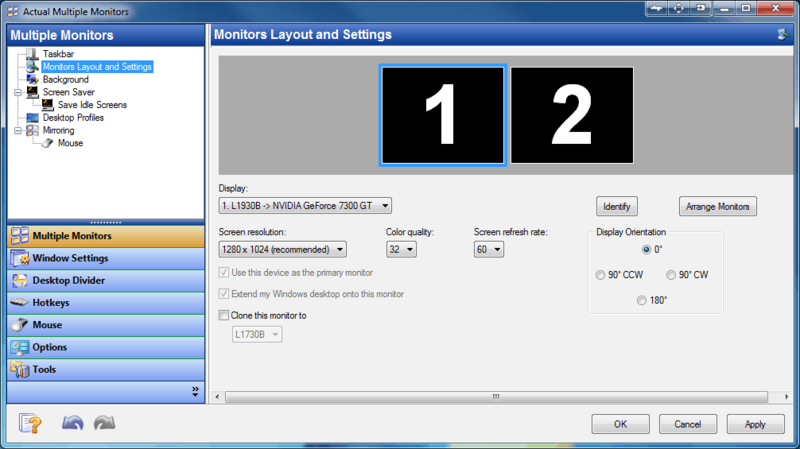 MultiMon is a lightweight alternative to DisplayFusion that supports triple monitor setups. 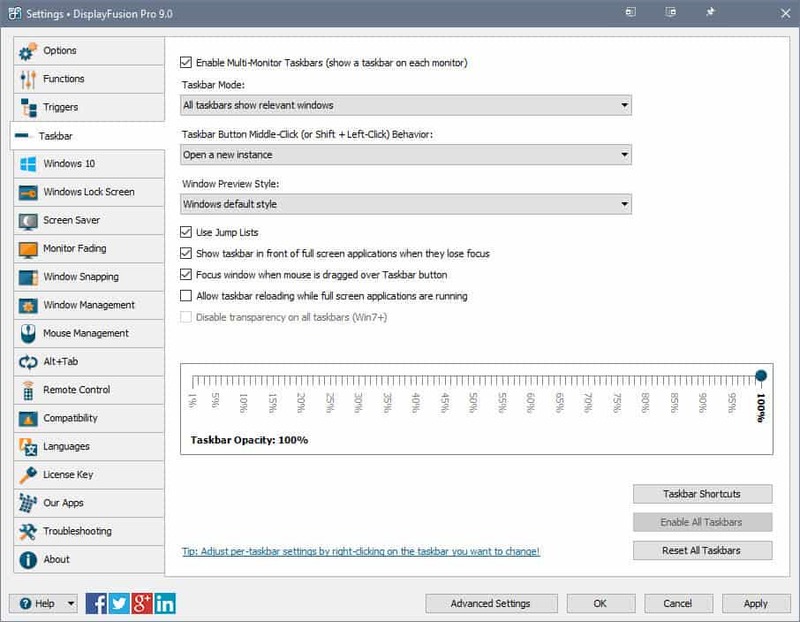 You can add either MultiMon TaskBar 2.1 or TaskBar Pro 3.5 (retailing at $35) to 32 or 64-bit Windows platforms. The freeware Taskbar 2.1 adds a second and third taskbar to the additional VDUs, but it lacks the system themes in the pro version. Click MMTaskbar21.exe on this web page to save TaskBar 2.1’s installer to Windows. Taskbar 2.1 doesn’t give you much more than the extra VDU taskbars. However, both versions do include a handy Clipboard Extender tool that saves all text copied to the clipboard so that you can select multiple items from the combo box on the secondary taskbar. 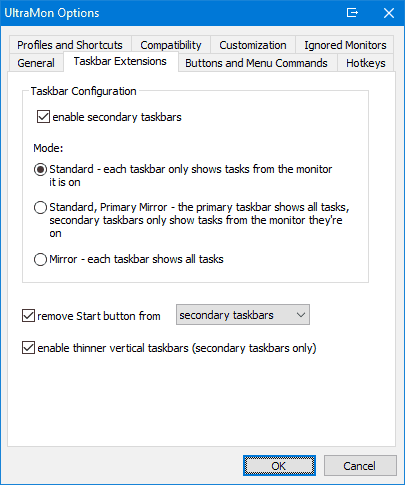 TaskBar Pro 3.5 users can also expand windows across two VDUs, move windows to another monitor with arrow buttons and select alternative taskbar themes. 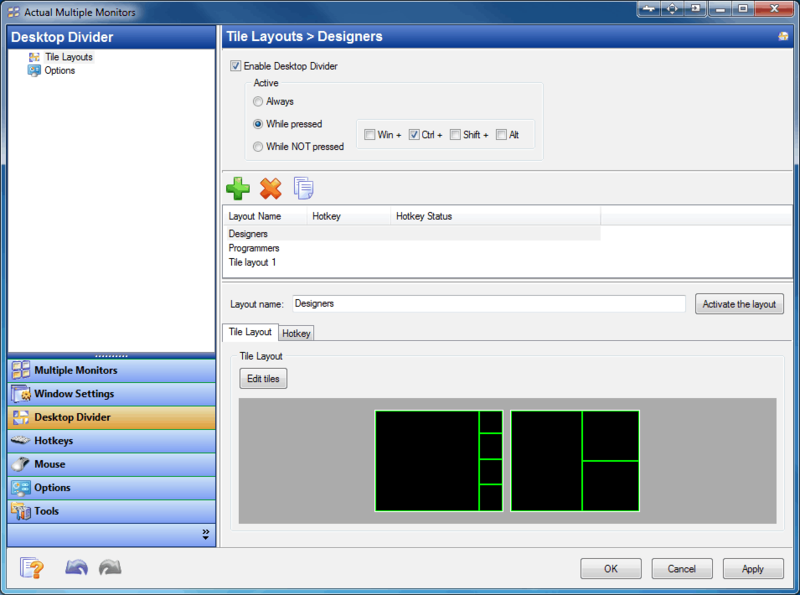 Dual Monitor Tools is freeware software for dual-monitor setups. This is a lightweight program that requires less than one MB storage space, and it includes some awesome multi-monitor tools. The software runs in most Windows platforms from XP to 10, and you can download it from this web page. Dual Monitor Tools consists of five primary modules: DMT Launcher, Cursor, Snap, Swap Screen and Wallpaper Changer. DMT Launcher is the software’s primary novelty with which you can launch any program by entering custom magic words in its text box. You can configure the software to periodically change the wallpaper on both monitors with the DMT Wallpaper Changer. Dual Monitor Tool users can set up customized hotkeys to move windows between VDUs, minimize, maximize and supersize them so they expand across both monitors. Snap is also a handy DMT tool with which you can capture a snapshot on one monitor and display it on the other. Actual Multiple Monitors has had some rave reviews. This dual-monitor software provides a taskbar, Start menu, system tray and Alt+Tab switcher for the extra VDUs. Actual Multiple Monitors is available at $40, and the software is compatible with 32 and 64-bit Windows platforms from Win 2000-10. You can also try out a full 30-day trial of AMM. Actual Multiple Monitors fully replicates the Windows taskbar on the secondary VDU. Thus, the taskbar on the second monitor includes a Start menu, notification area, Show Desktop button and clock; and you can configure it with the software’s mirror, mixed and individual mode settings. Furthermore, the secondary taskbar has a context menu with which you can select to gather windows to it or move them to the primary taskbar. 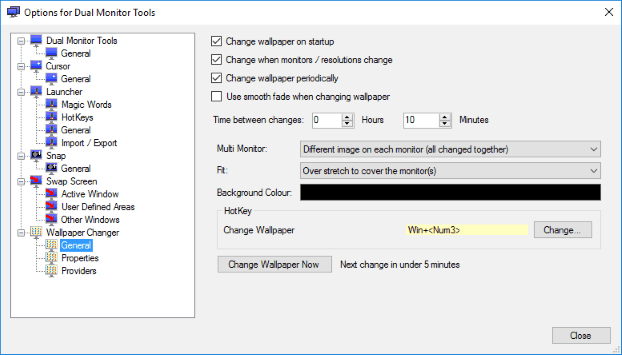 Aside from the extra taskbar, Actual Multiple Monitor users can select to have alternative wallpapers on the monitors or expand a single background across both desktops; and AMM includes similar options for screensavers. The Desktop Divider is a novel addition to Actual Multiple Monitor that enables you to divide the desktop into smaller tiles for maximized windows. Desktop mirroring is another of AMM’s great tools with which you can clone the primary monitor in the secondary VDU. Those are five must-have programs that will turbocharge your multi-monitor setup. Few other dual-monitor programs can match the tools and options included in Actual Multiple Monitors, DMT, MultiMon TaskBar Pro 3.5, DisplayFusion Pro and UltraMon.